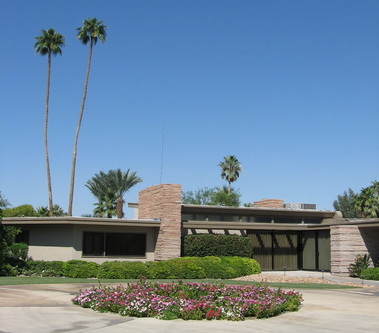 AFTER NEARLY 20 YEARS PROVIDING TWICE-DAILY TOURS, PALM SPRINGS MODERN TOURS HAS CEASED OPERATIONS. MY PROFOUND THANK YOU TO THE THOUSANDS OF TOUR GOERS OVER THE YEARS, AND MY REGRETS TO THOSE I WILL MISS GOING FORWARD. PLEASE SEE WWW.VISITPALMPSPRINGS.COM FOR RECOMMENDATIONS FOR OTHER ARCHITECTURAL TOURS IN PALM SPRINGS. I AM PLANNING AND ORGANIZING TOURS TO ARCHITECTURAL DESTINATIONS WORLDWIDE. I LOOK FORWARD TO SHARING THOSE ADVENTURES WITH YOU SO COME JOIN ME! 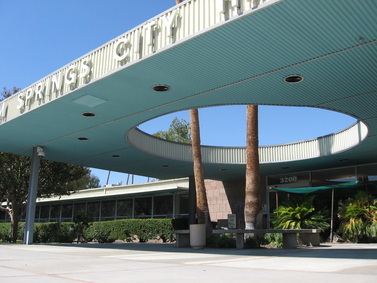 Palm Springs City Hall (1952-57); Albert Frey, John Porter Clark & Robson Chambers.